Set down the picnic basket! 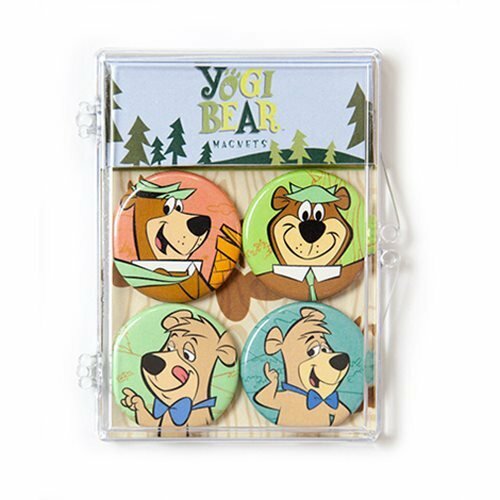 This 4-pack of Hanna-Barbera Yogi Bear Magnets includes four 1-inch magnets that feature different iterations of your favorite characters from Hanna-Barbera's popular Yogi Bear cartoon TV series. You'll get two for Yogi and two for Boo-Boo! Magnets measure 1 1/4-inches in diameter. Ages 13 and up.